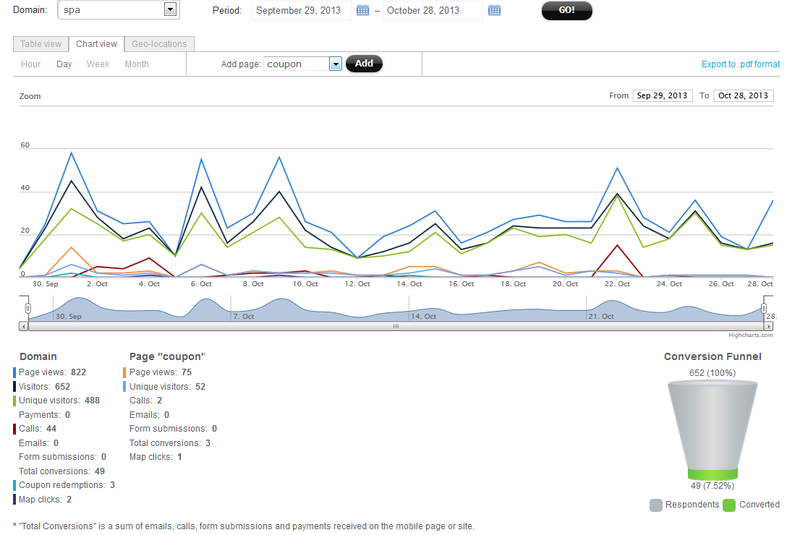 Measure and optimize the results of your marketing efforts with powerful mobile web analytics and reports. SignalMind keeps track of your website conversions and interactions, including the standard web stats (visitors and page views), and additional metrics (phone calls, form submissions, coupon redemptions, map clicks). Customize reports by including the desired metrics per website or individual page. Generate mobile website tracking PDF reports for sharing with your clients and easily embed (IFrame) SignalMind reports into an external website.